I was in Melbourne recently for three weeks doing an internship. I absolutely love it there, it’s a fantastic city – there is so much culture and history, so many things to do and an amazing food scene. I went to Trunk following a recommendation from my work friends. 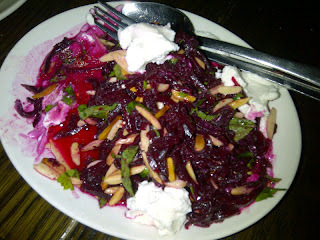 I wasn’t sure what to expect, but a quick check of their website and I knew I was in for a distinctive Melbourne dining experience – that is, a restaurant that is housed in a building with plenty of history and interesting decor, an amazing food selection and some serious demand, making booking a challenge. I think it is safe to say that Trunk is housed in one of the most historic Melbourne buildings. It was originally built in 1859 when it was used as a synagogue. It then went on to become a school, a social welfare office and a childcare facility. Since 1980 the building has been used for hospitality venues. I visited Trunk on a Friday night and it was packed. You enter from the street into a brick courtyard with tables and umbrellas, before walking into the building itself. There is a bar area at the front and the restaurant is towards the back. Trunk also has a diner in an adjoining building on the same block, which is open during the day. The whole place is really quite big and it boasts one of the largest outdoor courtyards in the CBD, making it the perfect summer haunt. The courtyard is home to a 150 year-old heritage listed Coral Tree, inspiring the name ‘Trunk’. If you are a lover of wine then Trunk is the place for you. The wine list is over 12 pages long, with bottles from every vineyard you could imagine. The spirits list is also very impressive – there are over a dozen types of most spirits; vodkas, tequilas, rums, etc., so you are certain to find a drink you love! For food I ordered arancini balls, a beetroot and goats cheese salad and a salumi pizza, all to share. It was more than enough! The arancini were some of the best I have ever tasted, a delightfully crisp outside with yummy risotto within. The salad was delicious; it was made of roasted julienned beetroot, shredded basil and luscious clumps of goats cheese that melted in your mouth. It was pretty amazing and definitely something I’m going to recreate for myself soon. The pizza was another hit. 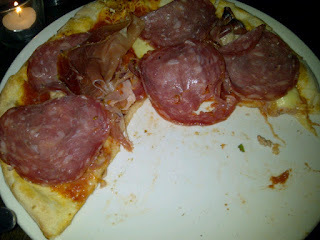 It had a great crisp base (I am a lover of thin pizza bases, I can’t stand when they are too doughy.) and featured a selection of meats like prosciutto, pork sausage and salami. It was perhaps a little meaty for my taste, but very flavoursome. The service was good aside from an initial mix up with our booking. The waiters had a great knowledge of the food and beverage menus. Preheat oven to 170C. Grease 23cm quiche tin and line with shortcrust pastry. Prick with fork. Blind bake pastry for 15minutes by covering with baking paper and pastry weights. (I like to give my baking paper a little spray with oil so as to avoid it sticking to the pastry.) Remove weights and paper and bake for a further 10minutes. Meanwhile, pan fry asparagus in a drizzle of olive oil and season well with salt and pepper. Cook until slightly charred and easy to pierce with a fork. Whisk eggs, cream and dill in a bowl. Season. 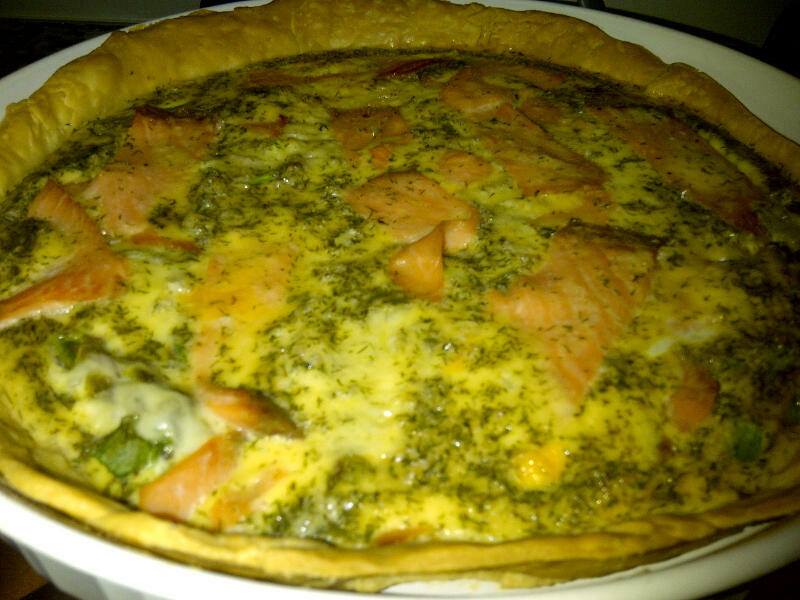 Sprinkle onion, salmon, asparagus and mozzarella in the pastry case and pour over the egg mixture. Bake for 25minutes or until just set. Serve with your favourite salad, I love rocket, apple and walnut with this. Must Have. Chloé – Marcie Tote. Who doesn’t love a great tote bag or carry-all. As a girl I have an endless supply of necessities to carry around with me at all times – mimco wallet, blackberry, keys, diary, lipgloss, water, nail file… You get the picture. 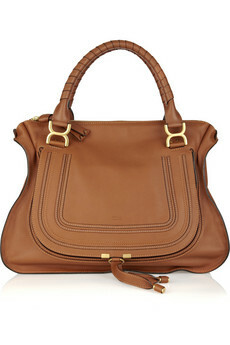 So this Chloé is my ideal partner in crime. Big enough to fit what you need, yet sleek and stylish. Plus the tan goes perfectly with my number closet item – blue jeans. $1900, this one is definitely on my wishlist. I was out shopping with my boyfriend the other week; we just popped into the local mall to do some browsing and pick up a few things. But little did I know that by the time I left the shops I would have an earth-shattering epiphany – men REALLY do hate shopping. Of course, I had an inkling of this before but I’m not sure I ever realised it was so bad. I had made a plan earlier that morning to go to the shops for a few things: a few clothing necessities (new jacket, shoes, outfit for Saturday night and anything else that might strike my fancy), an engagement present and couple of other bits and bobs. I asked if my boyfriend would like to come and he said yes – big mistake. Little did he know he had unwittingly agreed to join me, on what would turn out to be, an unbearable expedition (for him, I rather enjoyed myself). Now, for you ladies reading this I would like to draw attention to the fact that we were at the shops for 2.5hours, which by my standards is a rather speedy trip! But it seems for my male counterpart, we may as well have shopped all day. - If shopping with a girlfriend, they tag along like a lost puppy, tapping away on their phones and looking very uncomfortable at the mention of any ‘browsing’. - If in a group of guys (this is a rare spotting), they seem to use the shopping centre as a ‘hang out’ rather than for purchase purposes. I can’t understand this myself, if you hate shopping so much why make it your regular haunt? I suppose you could say I’m a little like David Attenborough for men; observing the species in their (un)natural habitat. It is a rather interesting topic; I can just see it made into a documentary. There would have to be a prime focus on the ‘male seat’ we all know and love – the chair or bench tucked in a corner for the guys, where sales women fuss over them whilst girlfriends are in the change room. To me, they always look as though they would rather be sitting on a porcupine. Is it really that painful!? A word to the wise ladies, save your ‘browsing’ for shopping trips with your girlfriends or risk some stormy looks. 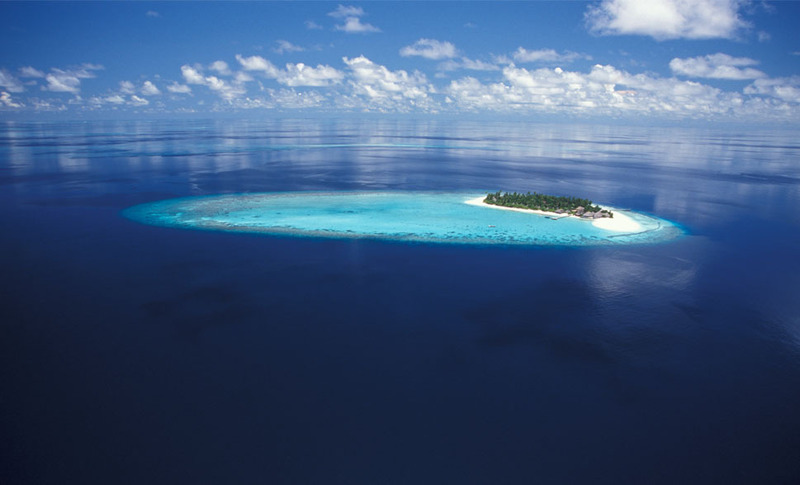 I don’t know about you, but my number one travel destination has always been the Maldives. Pristine white sands, aquamarine blues, vibrant coral reefs, and the world’s only underwater restaurant! I’m not sure when I first decided this was the place for me, but for as long as I can remember, I have been telling all who will listen that I will one day be honeymooning on Maldive beaches. This divine holiday spot has been relegated to my premier honeymoon destination for two reasons. One, when I visit this magical place I want it to be a vacation to remember, so what better way to do this than to celebrate a life changing event with the one I love! And two, everyone knows the Maldives is one of the priciest holiday destinations around, so, in my true ‘old-world traditional’ outlook, it is only fair that after the bride’s family pays for the wedding, the groom pays for my dream honeymoon! Future husband, if you’re out there, you better start saving now! Watch the sun set over the ocean – apparently the Maldives is one of the best spots around for this romantic view. Something to do with the latitude… or the longitude…? I can’t remember. Spend a day island hopping. The Maldives is home to 26 chains of islands (1190 islands in total), that means plenty of boat trips and plenty of exploring, a perfect way to work on my tan. Enjoy a romantic dinner on a private island. Crab racing – don’t ask me how this works, apparently there’s a bottle of champers up for grabs, so I’m in. And my number one thing to do – eat at the world’s first underwater restaurant Ithaa. Dining 16ft below sea level would truly be an incredible experience, sipping champagne whilst all matter of marine life swim past. It brings “dinner and a show” to a whole new level. Photos by VisitMaldives and Ithaa. I had the pleasure of dining at Little Truffle in Mermaid Beach with my girlfriends recently. We had a wonderful evening of indulgent food, fine wine and stimulating conversation. The sleek wine bar/fine dining restaurant is a rare find on the Gold Coast, especially amongst a non-descript row of shops on the Gold Coast Highway. 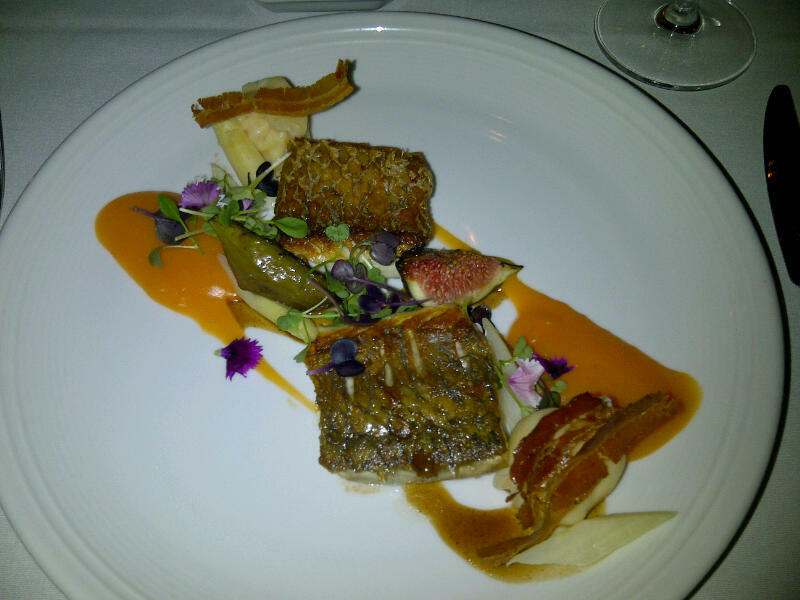 I ordered the pan fried barramundi fillet with sand crab tortellini, sweet potato puree, figs and bacon crisp. It was amazing. A truly wonderful combination of flavours; the creamy fish and tortellini, the sweetness from the potatoes and fig, and the salty crispness from the bacon. The flavours and textures danced on my tongue, and unlike other ‘fine dining’ restaurants I wasn’t left starving from an ‘artfully constructed’ petite portion; there was well and truly enough on my plate. I shared my dessert - warm chocolate pudding, caramel, double cream and honeycomb. It was everything you want from a sweet – decadent and delicious. The service was attentive but nothing exceptional. The restaurant has two dining rooms: modern or classic. I opted for the classic dining room when I booked, however in hindsight I wish we had eaten in the modern area. The restaurant is split level; the lower area is ‘classic’ (cream palette, chandeliers and mirrors) whilst the upper area is ‘modern’ (dark sensual colours, subtle lighting and a feature bar). The ‘classic’ area wasn’t all I had envisaged, it was a little cramped and slightly clinical, whereas the ‘modern’ area appeared to have more personality and, that ever important, ambiance. Place the hazelnuts in a food processor and grind coarsely. Add the oil and blitz quickly until combined. If you would prefer a smoother cookie you can blend until it is a smooth paste, but I prefer some nutty chunks. Set aside. Cream the butter and sugars together until light and fluffy. 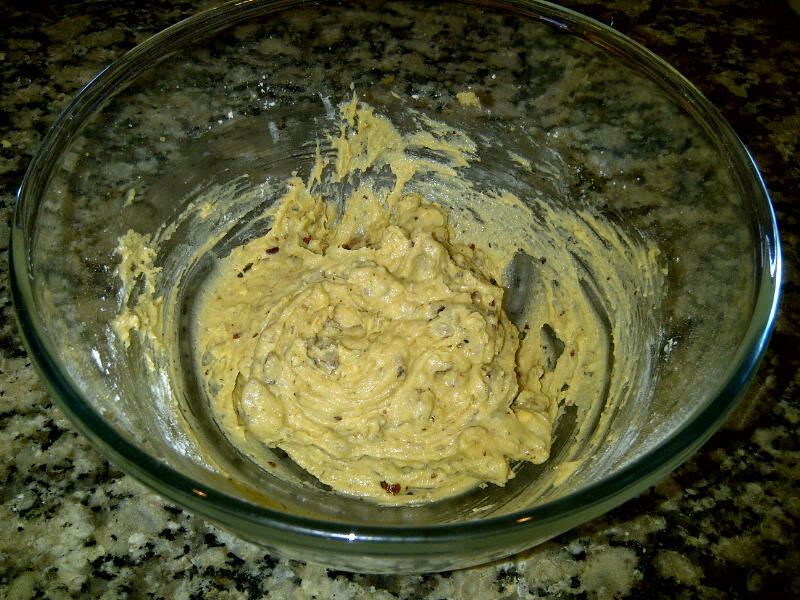 Beat in the hazelnut mixture, egg and vanilla. Mix thoroughly. Sift the flour, baking soda and salt and add to the hazelnut mixture. Mix thoroughly. 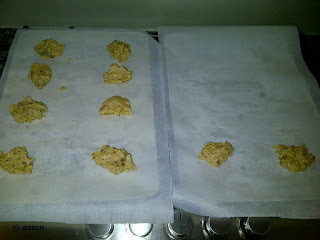 Using a dessert spoon, spoon dough on to lined baking trays, arranging them 3cms apart. The dough will be quite wet and sticky so don’t worry about their shape, they will even out in the oven. Bake for around 15minutes or until the cookies are golden. 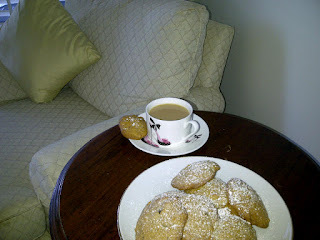 Cool on racks and dust with icing sugar. Enjoy with your favourite hot beverage. Must Have. 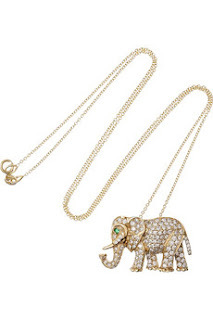 Jennifer Meyer Elephant Necklace. I, myself, am a great lover of animals but my favourite has always been the elephant. Hence, the moment I saw this necklace I wanted it around my neck. Crafted in 18 carat gold and featuring a diamond encrusted elephant this necklace has an ethnic elegance about it. But for nearly $12,000 I think I’ll have to wait a little longer.